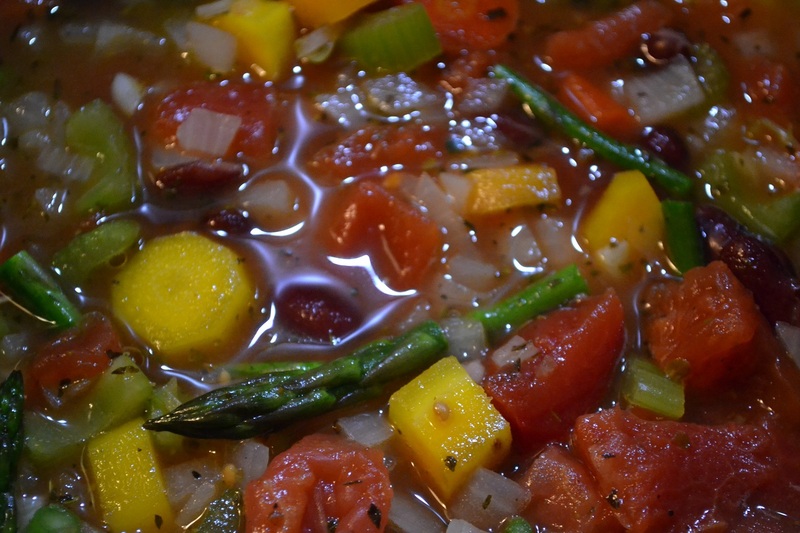 Minestrone soup is among my favorite types of soups. It is so easy to make and it is offers so much flexibility. It is a great way to use up a variety of veggies that need to be used up. It also easy to change the ingredients, so you can choose your favorite ones or can skip one if you do not have it at hand. Furthermore, depending on what you add to the soup, you can change how filling it is. 1. Saute onions and carrots, until softened. Then add the other ingredients, except pasta and cheese (if using). 2. Continue heating the soup on low to medium heat. You do not want to cook the soup. Heat until all vegetables are desired tenderness. Meanwhile (if using pasta), prepare the pasta according to directions on pasta package. 3. 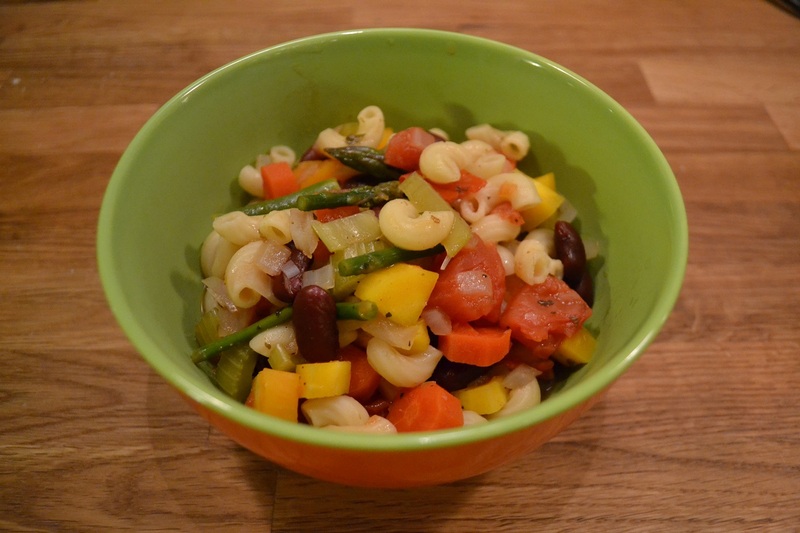 Once vegetables are tender, pour soup into bowls and add pasta. 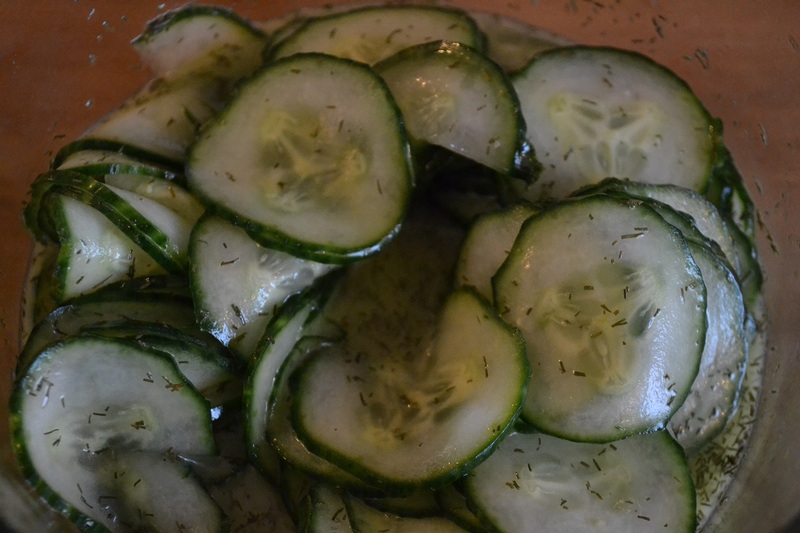 Serve with shredded cheese, baguette bread, or grilled cheese. Note: This soup stores well in air-tight container in refrigerator. If you add the pasta before storing it, the pasta will soak up all the liquid in the soup, so it may be best to store the pasta in a separate container. Categories: In The Kitchen, Soups & Salad | Tags: asparagus, AUTUMN, celery, kidney beans, potatoes, soup, SUMMER, tomatoes, vegetarian | Permalink. 1. Put oil in a large saucepan over medium-high heat. When hot, add garlic and saute until just fragrant (1-2 minutes). Add onion (if using) and continue cooking until soft and translucent (about 5 minutes). 2. Add tomatoes, sugar, salt, chile flakes, and onion mix into blender. Puree until smooth. 3. Return to saucepan. Add goat cheese and basil leaves. Heat slowly, stirring often, until mixture is creamy and most of cheese has melted. 4. Ladle into bowls and serve. Enjoy with grilled cheese. Categories: In The Kitchen, Soups & Salad | Tags: bisque, goat cheese, soup, vegetarian | Permalink. If you have not already been able to tell, I love soups. So I am always interested in discovering a new delicious soup recipe. Preferably one that is healthy, allows for easy modification, and stores well. 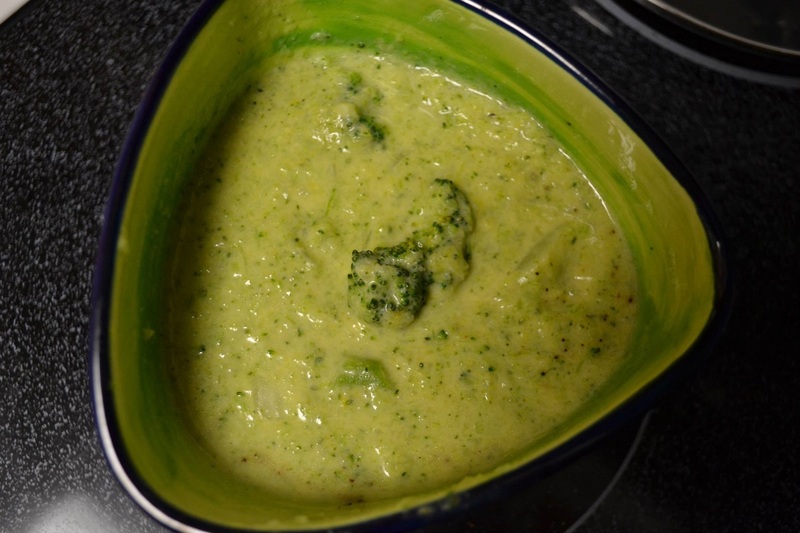 Here is a recipe for super-delicious broccoli soup that even Hans eats. It is “creamy” without actually having any dairy added. 1. Heat oil in a Dutch oven or large saucepan over medium-high heat. 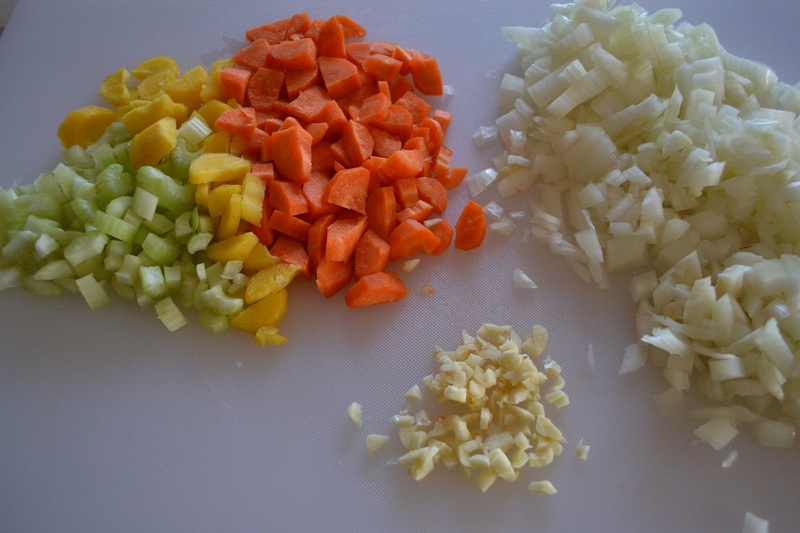 Add onion, carrot and celery; cook, stirring often, until the onion and celery soften, 5 to 6 minutes. Add potato and garlic; cook, stirring, for 2 minutes. Stir in flour, dry mustard and cayenne pepper; cook, stirring often, for 2 minutes. 2. Add broth and broccoli stems; bring to a boil. Cover and reduce heat to medium. Simmer, stirring occasionally, for 10 minutes. Add the salt. 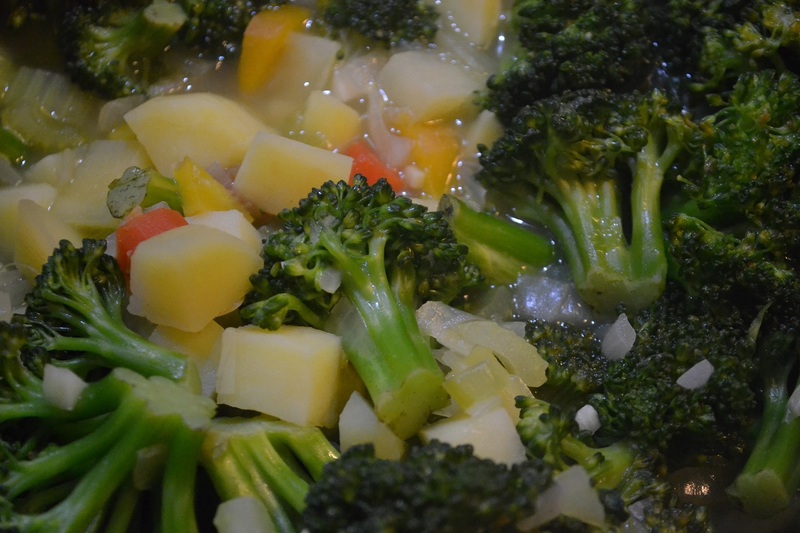 Stir in florets; simmer, covered, until the broccoli is tender, about 10 minutes more. Transfer to blender and puree, until desired consistency. * The amount of calories is much lower than broccoli soup that is dairy-based. 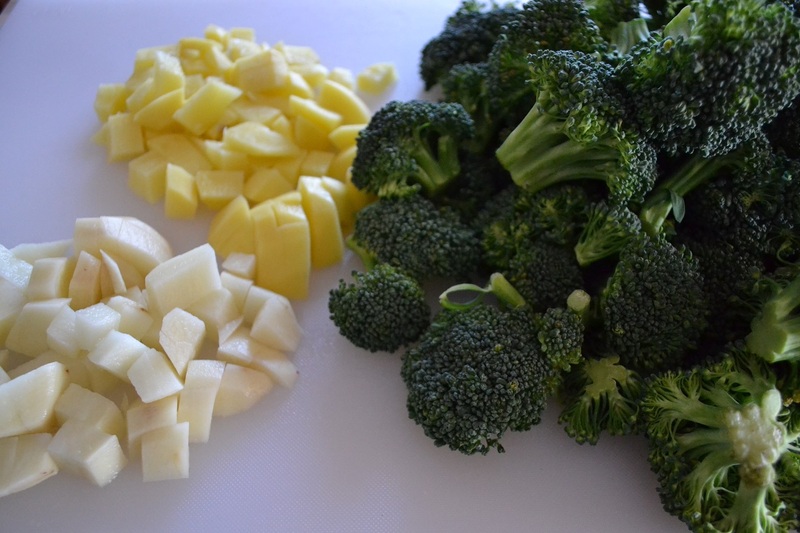 * Broccoli is rich in vitamins C. E, and B5. It also contains high amounts of beta carotene, folate, iron, zinc, potassium, and calcium. * The soup also allows the addition of one carrot, celery stick, onion, and potato. So it is a bit of a vegetable soup, sneaky, right?! Don’t tell anyone. Categories: In The Kitchen, Soups & Salad | Tags: broccoli, celery, onion, potato, soup, vegan, vegetarian | Permalink. 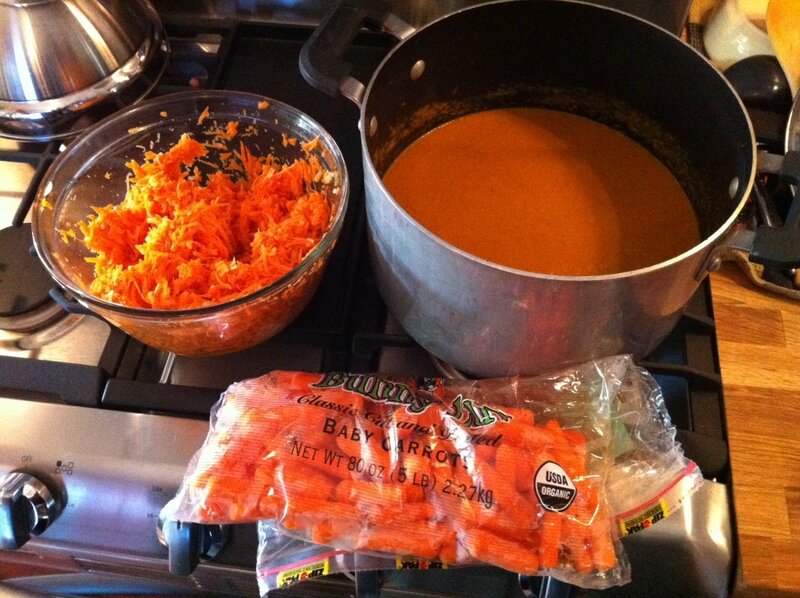 Never made carrot soup before. And then we were gifted a 5-lb bag of organic carrots and we needed to find something to do with all the carrots. 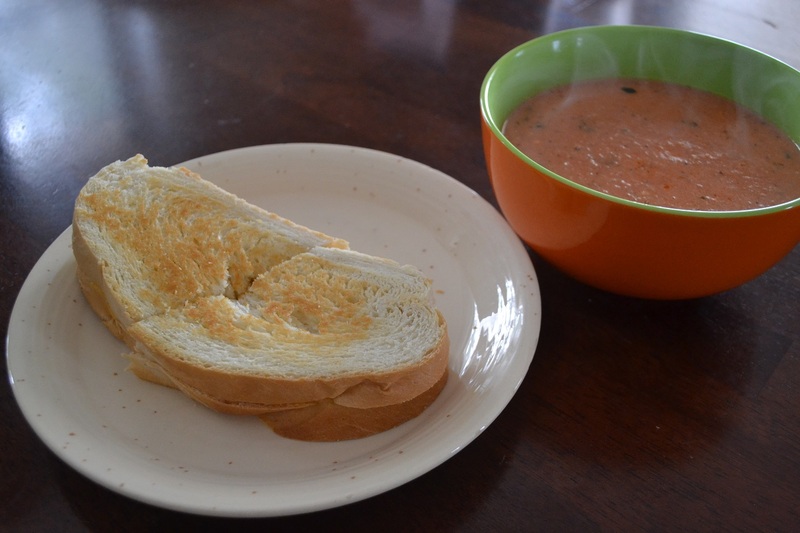 This soup is simple to make, can easily be stored, tastes delicious, and definitely helped to reduce the amount of carrots in our refrigerator. 1. Heat oil in a large pot over medium heat. Saute the onion until tender and translucent. Stir in the curry powder. 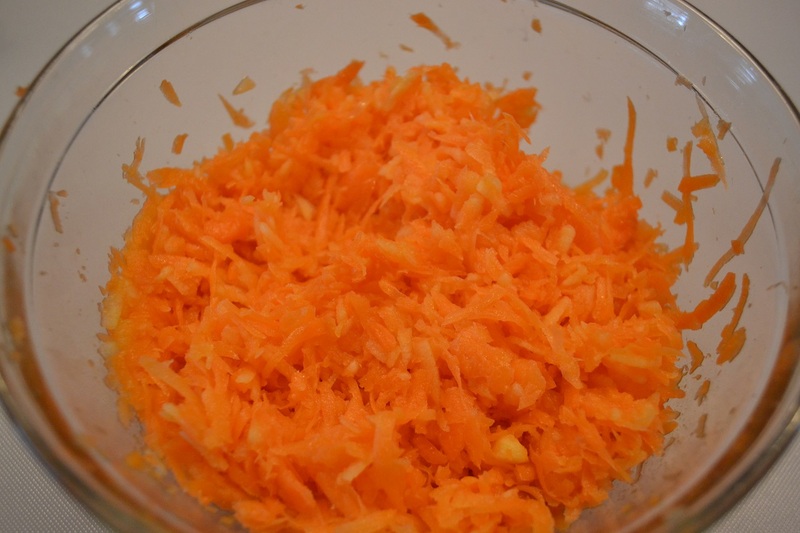 Add the chopped carrots and celery; cook, stirring frequently, for 10 minutes. Pour in the vegetable broth, and simmer until the carrots are soft, about 20 minutes. 2. Transfer the heated mixture to a blender, and puree until smooth. Pour back into the pot, and thin with water to your preferred consistency. Season with lemon juice (if using), salt, and pepper. Note: Soup can easily be stored in an airtight container and frozen. Allow it to slowly defrost in the refrigerator before heating it, when you want to use it. * Celery is rich in vitamin A, K, and folate. It also contains antioxidants. Categories: In The Kitchen, Soups & Salad | Tags: carrots, celery, soup, vegan, vegetarian, year-round | Permalink.